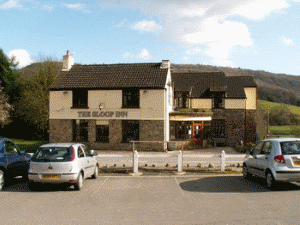 The Sloop Inn01594 530291work01594 530935fax InnSet in the heart of the Wye Valley, our emphasis at The Sloop is to create a mentally relaxing and enjoyable experience. Whether you are relaxing taking a drink in the beer garden, experiencing one of the chefs' fine bar meals in the bar or taking in the fine beauty of the Wye Valley, we aim to make your stay memorable. My staff and I are at hand to help and guide you towards a pleasant stay. Together we can offer knowledgeable advice on local activities the Wye valley has to offer such as golf, orienteering, walking or simply sampling the locality, which is deep in history. An ideal location for those who wish to explore further into the Welsh heritage. Set in the heart of the Wye Valley, our emphasis at The Sloop is to create a mentally relaxing and enjoyable experience. Whether you are relaxing taking a drink in the beer garden, experiencing one of the chefs' fine bar meals in the bar or taking in the fine beauty of the Wye Valley, we aim to make your stay memorable. Whatever you feel like doing, from calling in for a quiet drink to having a holiday and staying in one of our four comfortable rooms our friendly Inn is the ideal place for you.